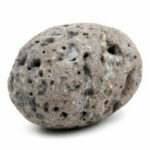 This topic contains 18 replies, has 8 voices, and was last updated by Rock 3 years ago. I have always especially loved the way Bobby Hicks plays this tune. It is really moving. Great job John, as always!!! Great Tune, love the three different levels of difficulty! It seems to me that the beginner level measure-by-measure video is the same as the intermediate level one though. Have you uploaded the wrong video or have I got confused? 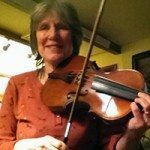 Thanks for all your great work – best videos on the net for learning good fiddle music from, especially for a beginner like me! Thanks! Whew! I’m worn out. But getting it…almost finally got that 3rd advanced part in my head. After that, just a matter of practicing until my fingers can do all that stuff. Maybe a few weeks, or years. This is the most beautiful thing I’ve heard. Whenever I do get it, I will have to link a youtube of myself limping through. The lessons are very good! I can’t wait to hear you playing it! I’ve got the mp3 downloaded and limping through with it slowed way down on the media player. Still having lots of problems remembering toward the end of that last part. If I ever get it close to in tune and not all sqawk and sqeak, is it ok to use the mp3 as backup for making a youtube? For now, back to the lesson to get some things straight in my head, or fingers! This is probably way beyond me, but it’s gonna drive me nuts until I can play it. Ok, great! Thanks! I gotta say again, thanks so much for this lesson…I love this version but it is harder than all get-out! When I get the chance I’ll try to play it through enough to not crash and burn long enough and get it videoed…I do sometimes have chances to play in public, but this one’s gonna need a lot more time before I try that! I’m anxious, though, to video this and move on to some of these other great lessons! It called me Peggy King…lol…I’m also going by Cricket! The internet gives me too many names! I’m still having a hard time playing some of these ( no kidding, hey?) … I currently don’t use a chin rest or shoulder rest…now I’m thinking of trying the shoulder rest only…I can’t stand any chin rest I’ve tried…gonna see if the shoulder rest gives me more freedom for getting up to those double stops easier. Or maybe it just takes more time. I would love to get to where I can play this on stage at our local jam…lol…that’d blow em all away! Great Lesson, one of my favoites. Just curious — I see MP3 #1 and MP3 #3, but no MP3 #2. Is that a typo of is MP3 #2 missing? Thanks for the great lessons. Thanks CaptDuck! There may have been a third but I must have removed it. Thanks for letting me know! I have renumbered them. Oh my goodness! This is so beautiful that it brings tears to my eyes. I listen to this over and over. Maybe in my next life I’ll attempt to learn it. :) Again, I wish I had had the opportunity to learn the fiddle when I was a little kid. However, I feel very lucky now to have found BGD to enjoy. Plus there are many other great lessons on BGD for me to learn. 🙂 Thanks John. Thank you Ann! It is a very beautiful song. I remember crying the first time I heard Bobby Hicks play it. John, That is one beautiful song!